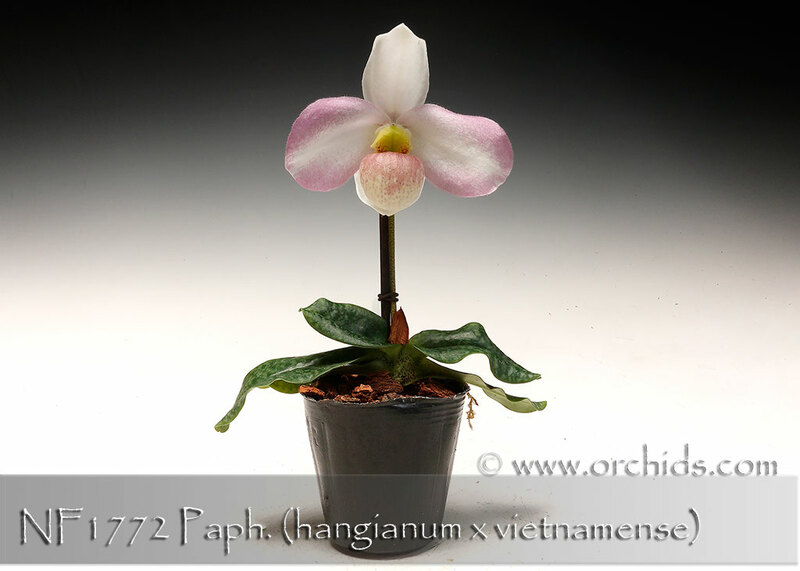 One of the most desirable of all primary Paphiopedilum hybrids created from mating two very special species parents ! Bearing ivory flowers which can reach over 4” in size, its downy broad petals are overlaid with soft rose around their margins. Its satiny pouch is suffused with soft rose, the interior spotted dark maroon, highlighted with a light chartreuse staminode. A true collector’s hybrid, our stock is limited and Very Highly Recommended !